Este espacio está diseñado para contener únicamente documentación informativa y no links de descarga de programas de ningún tipo. Adobe continues to take what makes Premiere great and make it even better with Premiere Pro CC 2019. 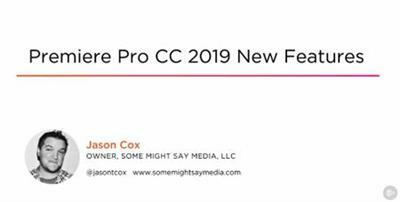 In this course, Premiere Pro CC 2019 New Features, you will learn the nooks and crannies of all the awesome and powerful new features and enhancements added to this world class video editor. First, you will learn about the new enhancements to Lumetri Color. Second, you will explore some long awaited improvements to audio effects to clean up the sound of your project. Lastly, you will discover new organization options, improvements to the Essential Graphics panel, and much more. When you're done with this course, you'll know how to take advantage of the latest and greatest technology built into Premiere Pro.